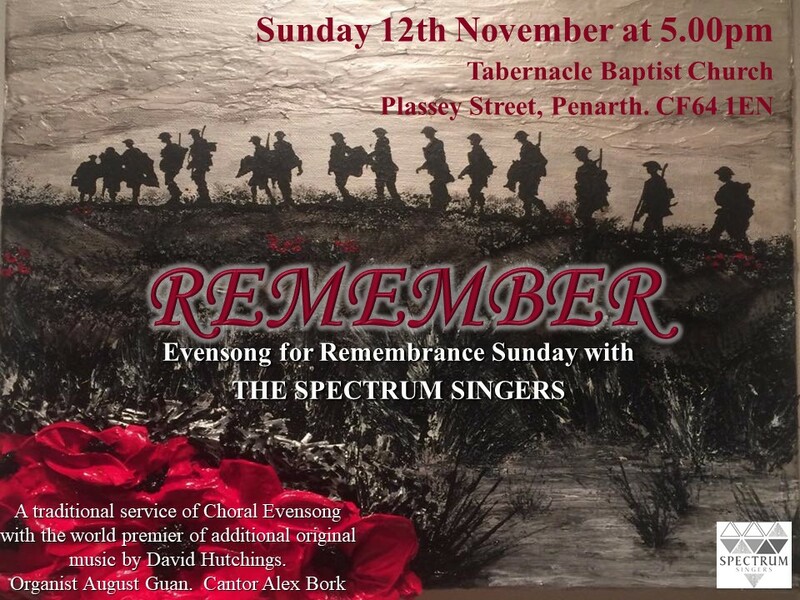 We’re delighted to have the Spectrum Singers lead us in this Remembrance Evensong Service. In addition to traditional hymns, psalms and liturgy, there will be a new composition performed. The service will be earlier time of 5pm to allow more people to attend, and will replace the usual evening service.